Food adulteration? 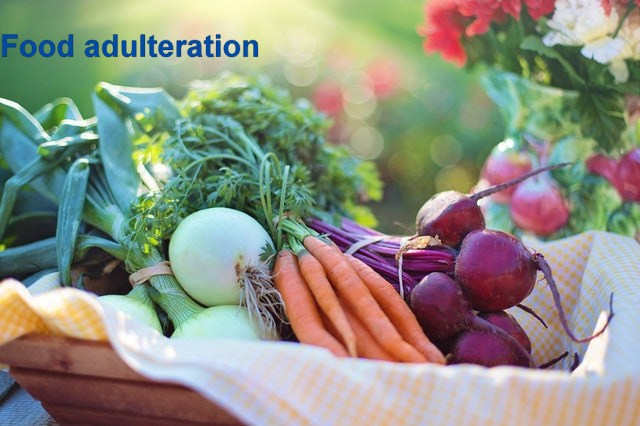 :- Food adulteration means food which is less beneficial to our health and to make money from that food, adulterate it and sell it in the market. It is called Food Adulteration. When a person deliberately sells an unhealthy food item in the market for its own benefit, then it is called Intentional Food Adulteration. adulterate are found in food substance due to ignorance negligence or lack of proper facilities it is called unintentional food adulteration. occur due to the presence of certain chemical organic compounds naturally occurring in food it is called natural food adulteration. Today, we are going to tell you about some foods and fruits which you eat every day and use more in your homes. With this, you can identify which foods are adulterated. Before telling about it, let us tell you that we can not identify adulterated food items of all kinds. But people who eat more foods and use it will be able to identify those adulterated foods. We will tell you, friends are such that some foods that you can check in your own house and find out if this food is adulterated or not. To check the adulteration in milk, you add milk and the equal quantity of water in a glass, if the form appears in that milk, then milk can be adulterated, which can be quite damaging for your health. Wax is used on apple to make apple more bright. So that apples could be more bright and people could buy it more. To catch the adulteration of apples, take a knife and scrubbing over the apple peel, if any white matter appears on apple peel, then you should understand that the wax is used on the apples which are harmful to your health. Honey is insoluble in water. If you want to find out whether the honey is real or if it is fake then you put one drop of honey in the water. If the drop of honey goes inside the water then honey is real, otherwise, the honey is adulterated. Most people use papaya seeds for adulteration in black pepper. To test this, add black pepper to the water bowl. If black pepper falls into the bottom then it is real, otherwise, it is fake black pepper. Because black pepper goes to the water clogs and the papaya seeds float on the water. The real asafetida dissolves immediately in water and the water becomes light brown. False asafetida does not dissolve quickly in water. In this way, you can find adulterated asafetida. If your hands don't get colored when you Smash them, then it is not pure Cinnamon. Put a spoonful of tea powder in cold water. if the water color turns Brown, then it is actually not TEA. if your ice cream starts to forth on adding few drops of lemon juice, that means it contains washing powder then You can say that an ice cream is adulterated. Add a spoon of sugar to water, if there are remains On The Water surface, it is definitely chalk powder. Sprinkle a small amount of coffee powder on the surface of water contained in a glass, if your coffee is adult rated, then you would see a colored trial and sinking substance. Add a spoon of chili powder to a glass of water. if it is adulterated it will emit color. To check the adulteration of turmeric, add some hydrochloric acid to the water and put some turmeric in it. If the water becomes purple, then understand that the turmeric is adulterated. Add turmeric in a bottle and put a little lemon juice in it, if the color changes, then understand that the turmeric is adulterated. Add a little saffron sulfur into the acid if the color of the saffron becomes black, the saffron is real. Mix tincture iodine inside coriander powder, if the coriander powder becomes black, then it is adulterated in that coriander powder.